Let me introduce you to my favorite cookie recipe ever. No exaggerations, this is the one. I am a coconut lover and this hits just the perfect balance of chewiness, sweetness and coconutiness (not a word, I know). Try this recipe out soon, it is amazing. Many thanks to Mel's Kitchen for this recipe. 2. In a large bowl cream together the sugar, eggs, butter and vanilla until light and fluffy. Add the dry ingredients and mix until combined. 3. Drop by tablespoonfuls onto a greased or lined (silpat or parchment) baking sheet. 4. Bake at 350 degrees for 9-11 minutes, until the cookies are set but not overly browned (bake a few minutes longer for a crispier version). I love coconut too! I'll have to try them. Thanks for sharing! I always love the combination of oatmeal and coconut in cookies. Thanks for sharing the recipe. I love oatmeal cookies. Actually, I've rarely met a cookie that I didn't like. This definitely sounds worth trying! Oh my husband loves oatmeal and coconut! I must make these! I don't think I've ever made a recipe from Mel's blog that didn't rock my face off. My go-to chocolate cake is hers, love the blueberry muffins, beef stroganoff, bean curry, just so many great recipes! I remember this one but didn't save it, so thanks for refreshing my memory and convincing me I should! I love the look of these cookies too and I would bake it a bit longer for a crispier version. 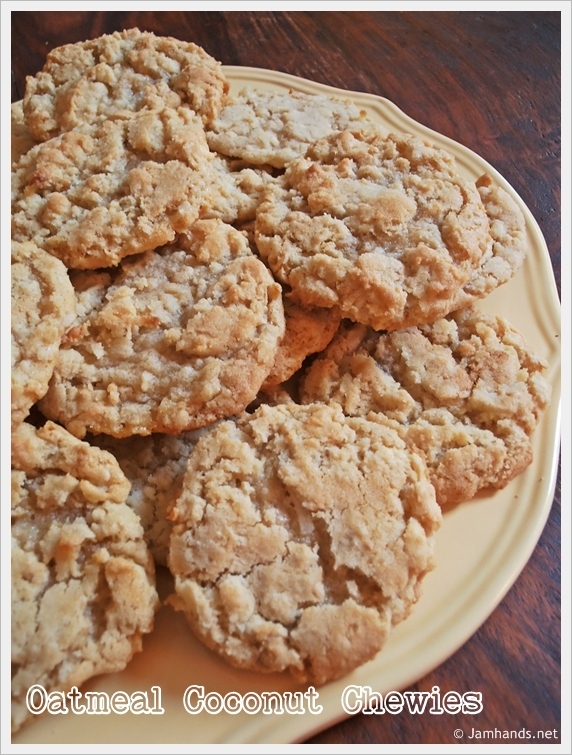 I love crunchy cookies:)Love your blog, so refreshing! Great recipe and blog! These cookies look so scrumptious and since I love coconut, I certainly will be trying these soon! Thanks so much for the yummy recipe and for stopping by! It's so nice to meet you! These sound like some really good oatmeal cookies! Mmm.